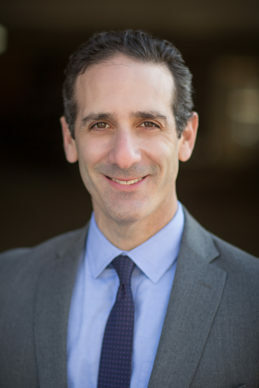 A founding partner and co-managing partner of Foster Graham Milstein & Calisher LLP, Danny Foster focuses his representation on helping individuals and families who have suffered serious personal injuries as a result of car accidents, bicycle accidents, motorcycle accidents, slip and falls, medical malpractice and other forms of negligent conduct. Being the best at representing personal injury clients requires a commitment to learning the complex medical issues and understanding how the insurance companies operate, as well as not being afraid to litigate cases when the insurance company tries to take advantage. Former deputy district attorney in the Denver District Attorney’s Office, 1997-1999. J.B.J. Holding Corp. v. Choi, 04 CA 5821, (Colo. App. January 26, 2006). 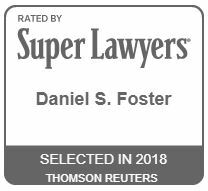 Foster, Daniel. 2010. 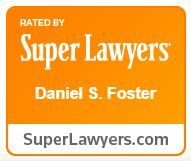 “Never Be Afraid to Lose: Winning Strategies for Defense Attorneys in Criminal Cases.”Trial Techniques for Criminal Cases, 29-44. Aspatore Books (Thomson Reuters). 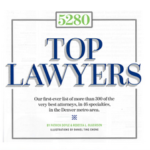 Parental Financial Liability for Juvenile Delinquents, The Colorado Lawyer, November 2008 (Vol. 37, No. 11, pg 49-55). Presenter, Professional Legal Management Week Summit, Managing Partner panel discussion. October 9th, 2010, University of Denver School of Law.